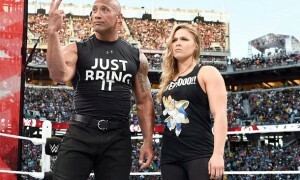 As most readers of CamelClutchblog know by now, I tend to write mainly about the NFL, and occasionally about WWE. I even wrote about my favorite band, KISS in my last blog. However, in the next blog or two, I will be writing about my all time favorite sport known as the “sport of Kings,” as Kings used to attend. The sport I am referring to is thoroughbred racing. I have loved horses my entire life, and I have watched it since about 1977. Seattle Slew, that year’s Triple Crown (Kentucky Derby, Preakness and Belmont) winner was the first hero I have ever had, human or equine. The following year, a horse named Alydar who had that great rivalry in 1977-78 with Affirmed (the last Triple Crown winner to date) just won me over, and is my all time favorite horse, and I have been a diehard fan ever since. I don’t bet, but I love the thrill, the adrenalin rush I get just watching these horses run. I love the jockey silks, and the whole racing atmosphere at the track. Anyway, it is kind of sad to me that much like boxing , racing is dying. It is hard to get younger fans to go. There are tons of other issues contributing to the lessening popularity of the sport that I won’t go into. Back in the fifties, boxing and horse racing were king as far as being popular spectator sports. Both are in big trouble. I am optimistic that one day, racing will be back on top. It really is a great sport. Horse racing, not baseball, was the first sport in the United States to break the color barrier. The first Kentucky Derby, run in 1875, featured 15 horses with African American jockeys. The winner, Aristides, was ridden by Oliver Lewis, an African American, and trained by Ansel Williamson, also an African American. In fact, 15 of the first 28 Kentucky Derby winners were won by African American jockeys with 5 of them being trained by black trainers. The first jockey ever to win 3 Kentucky Derbies was Issac Murphy who finished his career with a 44% winning percentage which no jockey since has even come close to accomplishing. Unfortunately, by the turn of the century, when the sport became more high profile, horse owners used African Americans for stable help. The last African American jockey to win the Derby was Jimmie Winkfield in 1901-02. However, today , there are jockeys of different races and creeds riding today. As I just mentioned, horse racing, particularly American racing, is known for the Kentucky Derby , run on the first Saturday in May. Known as “The Run for the Roses” as the winning 3 year old horse (male or female) gets a garland of roses on its neck in the winner’s circle, it is the first leg of horse racing’s Triple Crown (the horse then has to win the Preakness, and Belmont in a 5 week span). However, horse racing, unlike baseball which has its World Series, or football which has its Super Bowl or hockey which has its Stanley Cup, horse racing for ages did not have a year end championship race to decide, or at least help decide the Eclipse Awards (the year end awards of achievement in racing). That all changed in 1984 with the Inaugural running of the Breeder’s Cup. The Breeder’s Cup was created in 1982 by the late John R Gaines who wanted to clean up the sports’ image. 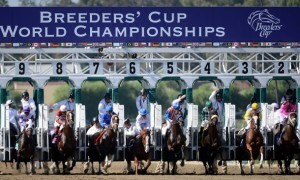 The Breeder’s Cup initially started as the richest day in racing. Now, the event, starting in 2007, is divided into two days as more races were added. The way it is set up is that there are divisional races that top horses from North American, and horses from all over the World come to compete in. For example, there are the Sprint, Mile, Dirt Mile, Juvenile (2 year old males), juvenile filles (2 year old females), etc. The event culminates with the biggest event of the day, and the richest race of the event: The Breeder’s Cup Classic where fans see many of the top horses. The distance is 1 1/4 miles on the main track be it dirt, or synthetic, depending on the track. 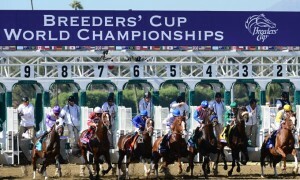 The Breeder’s Cup moves to a different host track every year. This year , it is at Churchill Downs. Next year, it will be at Santa Anita. It is really a great event. Of course, there are the races. After all, that is what the day is all about. I will be listing the races that over the 27 years of the event , that are the absolute best. These are races I found to be the most heart stopping, the most exceptional, and also had some historical importance. There were some that had more of the qualities I listed than others. I hope you enjoy this. This was a good race. Great Communicator pretty much went gate to wire for this race, but what I really enjoyed was seeing Sunshine Forever making Great Communicator work for his victory. Seeing him fight off not only Sunshine Forever, but the other two horses at the top of the stretch was very impressive. Another fun race. Macho Uno makes a good stretch run, and holds off the hard charging Point Given by a nose. Point Given, of course, went on to be Horse of the Year the following year in 2001. Very thrilling last few strides. This is a really good race. Fraise gets in behind horses at the top of the stretch, and finds a hole on the inside, and noses out the favored Sky Classic for the win. I could watch this over and over. Recommended. Well, I don’t bet. I don’t do it out of any moral objections. I just love the sport. However, if you like to see longshots win, or even if you do bet, and like to play longshots, this race is for YOU. It is also an awesome race. If there weren’t other better races, this would have been ranked higher. My goodness, this was cool. Watch this race, and you will see how high the winner’s odds were. Cool race. I love neck and neck battles. 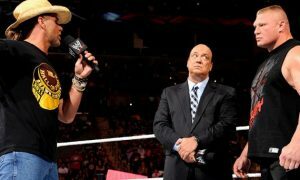 This was a real great one between the defending champ, Paseana, and Hollywood Wildcat. Wildcat won, but Paseana was great in defeat. Definitely recommend. This was an awesome race. I really enjoyed this one. You had the previous year’s Kentucky Derby winner, Ferdinand (RIP) and that year’s Kentucky Derby winner , Alysheba (RIP) both coming down the stretch together. Boy, this race is well worth watching. This is the great French filly Miesque winning her second Mile in a row. She just pulls away in style. She was so awesome. Definitely check this one out. This race is fantastic. Da Hoss won the Breeder’s Cup Mile in 1996. The next time he was able to run was a month before this race which was October 1998. What this horse does is AMAZING. This race is a must see for any sports fan. Just amazing. The track announcer’s comment post-race is something you have to hear. This race is amazing. This was around the time when three prominent horse trainers were at their peak as far as winning the big races, mainly the Triple Crown races: Nick Zito, Bob Baffert, and a one D. Wayne Lukas. Every time I turned around, it was one of these three guys holding some sort of trophy, particularly Lukas. Lukas in 1994 had these two very talented 2 year old fillies. One named Flanders, and the other named Serena’s Song. Well, in this particular race, both of these fillies just put on a show. I mean , this race was awesome. A must see. This race JUST missed my top ten. Great race. Jockey Mike Smith just guns Lure to the front and Lure does the rest. Smashes the track record as well. Definitely check this out. NOW, we are in my Top Ten. This gal just takes Serena’s Song and Lakewake to the woodshed. Inside Information just obliterates this field. Words can not describe her performance. Definitely watch. This was just magic. There was a lot of hype about Arazi as a two year old coming from Europe. It really was a shame that he didn’t develop into that great horse as as three year old. This performance by him is just fantastic. A must see. One of the best performances by a horse in Breeder’s Cup history. This race was just awesome. You had it all. You had the Derby and Preakness winner, Sunday Silence. You had the Belmont winner, Easy Goer. The two were rivals as Easy Goer, like his sire Alydar, finished second to Sunday Silence in both the Derby and the Preakness, but turned the tables on Sunday Silence in the Belmont, and ran the second fastest Belmont in history. Everything was up for grabs. Horse of the Year. Best Three Year Old. It was a great race, even though I wasn’t happy with the outcome. I never understood Pat Day’s ride in this race. Regardless, this race comes highly recommended. This is the Inaugural Breeder’s Cup Classic. I liked this race. In the mid to late stretch, there was a lot of bumping between Gate Dancer (the one on the outside), the big favorite Slew O’Gold, and the eventual winner on the rail, Wild Again. Many people thought that Wild Again should have been DQ’d, but watch the race , and you decide. Highly recommended. This is such a thrilling race. The great filly, Personal Ensign is going for 13 for 13 and to retire undefeated. That year’s Derby winner, Winning Colors is taken to the lead as usual, and runs a great race, but Personal Ensign just refused to lose. This is a must see. Totally recommend. This was one of the most compelling Breeder’s Cup races I can remember. A beautiful, and awesome mare named Zenyatta had captured the imagination of the racing world, and had won the previous year’s Breeder’s Cup Classic. Well, her owners, Jerry and Ann Moss decided to run her one more year as so many fans wanted to see their hero race. Well, they ran her, and her last race was the Breeder’s Cup Classic where they hoped she would retire 20 for 20, and beat the boys again. This was a weaker field than the previous year’s, but Churchill Downs where the event was held was the home track for a horse named Blame. When the gates opened, history was made, but unfortunately , not what Zenyatta fans had hoped. This race is very exciting nonetheless. Despite the result, you still get goosebumps. This race is awesome. The wonderful Zenyatta becomes the first female horse to win the Breeder’s Cup Classic. She defeats such horses as Gio Ponti , Summer Bird, Richard’s Kid, and Mine that Bird. She starts out last, and weaves her way through, and catches poor Gio Ponti at the end. A total thriller. Very highly recommended. This is a must see. The great Irish mare, Goldikova wins her THIRD Breeder’s Cup Mile in a row. She is the ONLY horse to ever win three Breeder’s Cup events in the history of the event. She has a problem with the track, and with some traffic, but she got the job done in style. She beats such turf specialists such as Gio Ponti, and Paco Boy. Definitely check this race out. The 2001 Breeder’s Cup was held about 6 weeks after the 9/11 tragedy. There was a lot of security understandably, but there was a lot of patriotism at the event as well. The race itself was awesome. Albert the Great was gunned to the front, and lead most of the way. Aptitude was the favorite for the race, and that was surprising considering that the reigning Horse of the Year , and defending Breeder’s Cup champion, Tiznow was in the race. However, Aptitude was taken wide, and was never in the race. Tiznow, with Chris McCarron up, got into a head and head battle with a horse named Sahkee, who had won that year’s Arc d’Triomphe. Tiznow eventually won, and the track announcer said “Tiznow wins it for America.” I was near tears watching that. It was so awesome. It made me so proud to be an American. Sahkee was a European horse, so a victory by him wouldn’t have been popular to say the least. 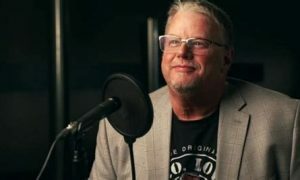 Another thing about Tiznow, is that during preparation for the 2001/02 NFL playoffs, New England Patriots Head Coach Bill Bellichick used Tiznow’s gritty victory in this race to inspire his players during practice. Therefore, you can say this race help spawn a great NFL dynasty. Very, VERY HIGHLY RECOMMENDED. I hope you enjoyed this blog. Feedback is welcomed.